Which junior copper stocks have gained the most on the TSXV so far this year? Lorraine Copper is in the lead with a rise of over 95 percent. As the copper price has managed to gradually trend upwards this past quarter, companies focused on the base metal have also made good progress over the last few months. 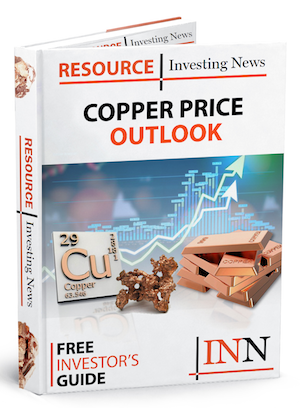 With the curtain now closed on 2019’s first quarter, the Investing News Network has rounded up the best copper stocks on the TSXV by share price performance so far this year. Many saw generally quiet first quarters on the news front, but still found ways to lock down growth for shareholders. All year-to-date and share price information was obtained on April 4, 2019, from TradingView. All companies listed had market caps above C$10 million at that time. 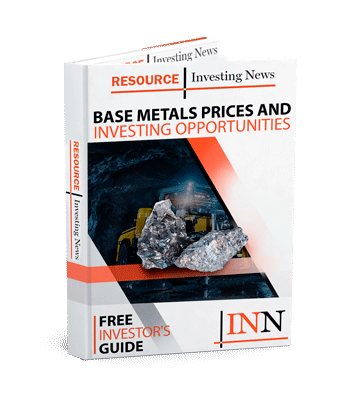 Headquartered in British Columbia, Canada, Lorraine Copper is primarily focused on developing two copper-gold exploration projects and a copper-molybdenum project in its home province. Under the company’s belt are the Stardust project, which is optioned to Sun Metals (TSXV:SUNM), the Okeover project and the Lorraine project, which is 49 percent owned by the company and majority owned by Teck Resources (TSX:TECK.A,TSX:TECK.B,NYSE:TECK). The company had a quiet first quarter with no major news aside from entering an arrangement with Sun Metals for an indirect merger between the companies. While there have yet to be any further details on the early February announcement, Lorraine saw its highest share price of the quarter on February 22 when it reached C$0.28. Based solely around the development of its Morrison copper-gold asset in Central British Columbia, Pacific Booker Minerals also operates out of the West Coast province. Morrison has now reached the advanced development stages, with the company having completed a feasibility study for the deposit and now proposing an open pit mining and milling operation. Pacific Booker Minerals stayed cool, calm and collected for the first two months of the quarter, with no news to report and its share price barely budging. However, its share price skyrocketed from C$2.19 on March 12 to C$2.95 by March 14, leading the company to release its first statement of the year expressing that it was unaware of any material change leading to the price spike. A mining exploration and development company, Quaterra Resources has a primary focus on advancing its copper assets in Yerington, Nevada, which include the MacArthur, Yerington and Bear deposits. The company also holds a 90 percent interest in the Groundhog copper prospect in Alaska. Share prices for the Vancouver-based company took a small dive in January shortly after closed a previously announced private placement for proceeds of $150,000. Stocks picked back up in March when Quaterra closed the sale of certain ground water rights associated with its Yerington assets for $6.02 million; the company peaked on March 8 when shares reached C$0.13 apiece. Founded in 2006, Oroco Resource is a Canadian exploration company with two significant assets to its name, the Xochipala gold project and the Santo Tomás porphyry copper project, both of which are in Mexico. Its focus is on the mineral concessions that make up Santo Tomás. Oroco’s stock price grew steadily through January to hit some quarter-high peaks in February; the company saw shares reach C$0.33 apiece three separate times that month. However, early March brought a 6 cent price drop over two days when the company provided an update regarding legal matters surrounding its interests in the Santo Tomás concessions. With its base of operations in Western Australia, Sandfire Resources aims to build a sustainable, mid tier mining company in the business of base and precious metals. In the case of Sandfire’s American branch, the company’s primary focus is its Black Butte copper asset in Montana, US. While there were no news releases from the company until late February, Sandfire saw a spike up to a quarter-high peak of C$0.11 per share on January 22, followed by a two-day tumble to C$0.07 on January 24. Prices later grew in Sandfire’s favor in early March after the company released a draft environmental impact statement for Black Butte. Thanks for the report on the outlook for copper. The sun will rise tomorrow as it has always done. Industry and infrastructure are in place and adjusting for the future ,which is on it’s way. The world economy seems to be in balancing mode right now . Opportunities and development is continuing and progress will proceed. The future looks good.